The advent of legal recreational marijuana in Canada hasn't done much to stop people from trying to sneak the drug over the border — and supply shortages might be to blame, according to an internal report from the Canada Border Services Agency. The agency's year-end drug analysis report says officers continued to seize large quantities of dried marijuana even after Canada legalized recreational use in October. "This is likely partly due to domestic supply shortages," notes the intelligence assessment, obtained under access to information. "Post-legalization marijuana volumes are rising relative to pre-legalization and 2017 figures." 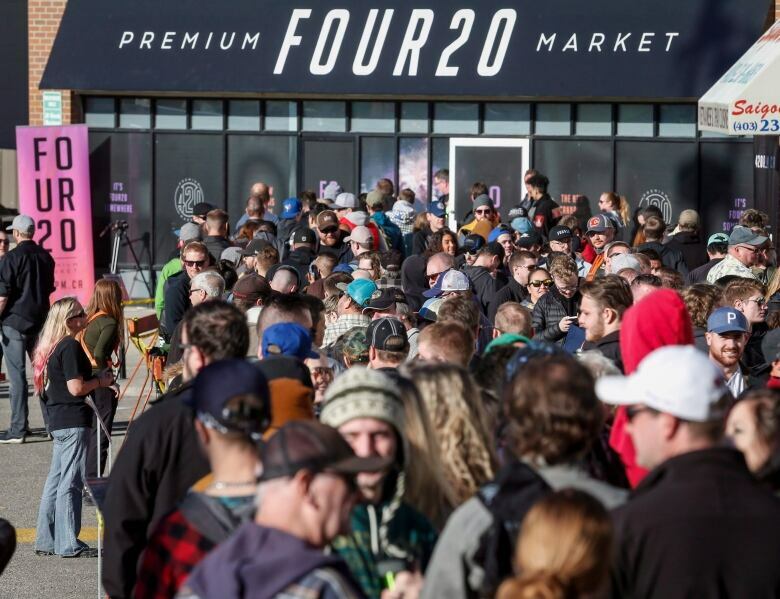 "Varying provincial regulations regarding the location, price and age of cannabis sale provide for opportunities for [organized crime group] exploitation, differing by province," notes one section. The carefully redacted document didn't say where or how the contraband cannabis is entering the country, but reported at least two large shipments seized at Toronto's Pearson International Airport. "The beginning of 2019 continues to see an increase in cannabis interdictions reporting at the border," said Rebecca Purdy in an email to CBC. "Travellers, mail, courier, and commercial shipments continue to be subject to the Customs Act and examined for prohibited goods, including cannabis and cannabis products." The government offered its legalization plan as a way to constrain the black market, although Liberals have said all along it wouldn't happen overnight. The CBSA's report highlights that. "If supply shortages persist, marijuana imports are expected to increase," it said. "Illicit grow operations will also likely continue to supply domestic consumers, until the legal market reaches an equilibrium between supply and demand." "While it is too early to identify trends, it appears that this increase is, in part, a result of increased positive declarations of cannabis in response to the new primary inspection question and signage at the ports of entry informing travellers to declare cannabis in their possession when entering Canada," she said. 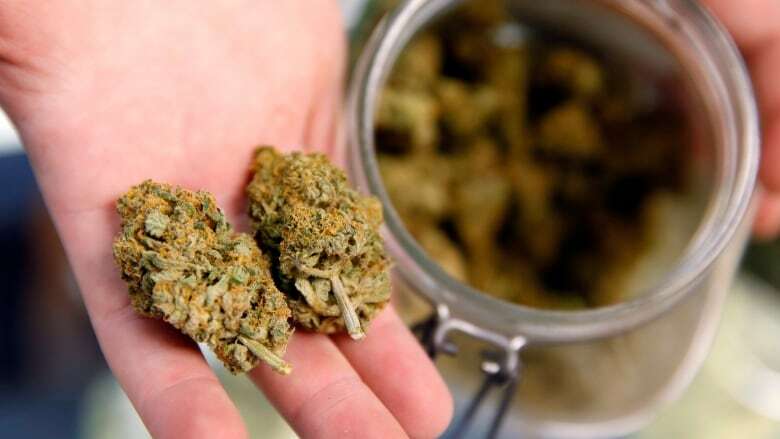 "I'm quite surprised by that ... what we've heard historically is most of the cannabis purchased and produced illicitly has come from Canada," he said. What's not shocking, said Rewak, is the fact that the black market still lingers nearly six months after legalization. Of those who took part, 233 were willing to admit that they were still buying illegal marijuana because it's cheaper. "I think we need to give this system a bit more time as we continue this migration because it is a historic migration, perhaps one of the biggest policy decisions we've made in the last 25 years. As a result, it's going to take time for the implications of that decision, which was the right one, to fully take hold," said Rewak. "So we just have to be patient." Cannabis producers sounded the alarm on supply concerns long before the Cannabis Act became law on Oct. 17, contradicting Border Security and Organized Crime Reduction Minister Bill Blair's version of events. Blair, the government's point man on cannabis policy, has disputed reports of shortages, arguing legal cannabis inventories far exceed reported sales. "The data is clear: there remains sufficient supply to meet and exceed existing demand. In January, we saw another monthly increase of finished products, with almost 19 times more supply than reported monthly sales," said Marie-Emmanuelle Cadieux, a spokesperson for Blair. "Every dollar spent on legal cannabis is a dollar not going towards organized crime ... previously, the recreational cannabis market was 100 per cent controlled by organized crime. While the significant reduction we have seen in a short period is a good first step, we will continue to reduce this number to zero by working with our partners to target organized crime and criminal networks." But Michael Armstrong, a business professor at Brock University who studies the cannabis market, said the federal government is "blowing smoke." "It's kind of like saying, 'Hey you can't have a bread shortage in Ottawa because there's lots of wheat in the elevators in Winnipeg.' Yeah, wheat eventually gets turned into bread but you have to convert it to flour and then you have to make it into bread and it has to get to Ottawa," he said. When asked about the discrepancy on Thursday, Blair said there are "clearly issues" in the supply chain. The CBSA's drug analysis report suggests Canadians are also getting into the illegal cannabis exporting business.